Quit playing games with my wallet. 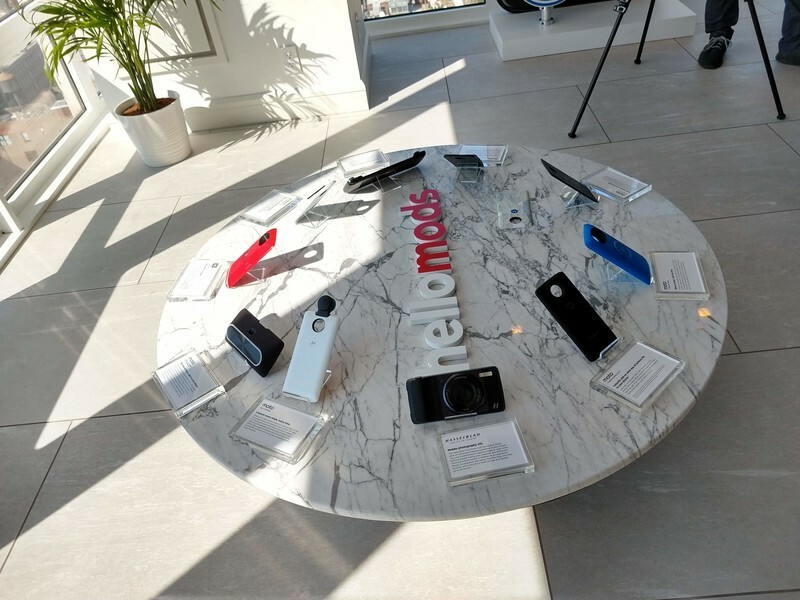 When Motorola unveiled the Moto Z in June 2016, it wasn’t clear how long its nascent Moto Mods ecosystem would last. At the time, phones were getting bigger every year, and there was a sense that Motorola would be bottlenecking its future by confining its modular phones to a particular set of dimensions. 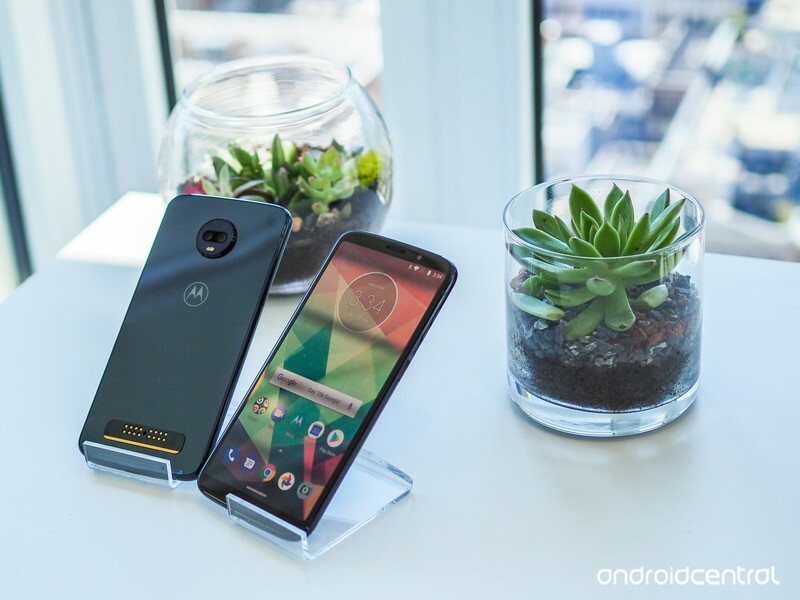 To some extent, the concern was warranted, as the third-generation Moto Z3 Play evinces a moderate number of design improvements but heeds the restrictions of its forebears. At the same time, Motorola has done a couple of things to ensure the phone doesn’t look completely out of step with an industry moving to taller, thinner displays and reduced bezels. But is the phone worth its impending $499 price tag? And without significant U.S. carrier support, will it even make a dent? 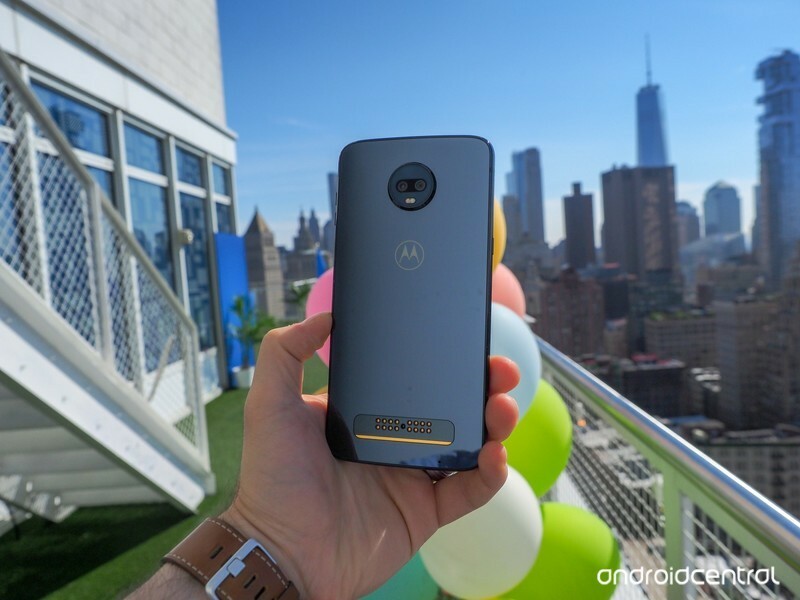 The original Moto Z Play, which launched in early September 2016, took the high-end specs of the Moto Z, toned them down a bit, and fattened the chassis with a massive battery. Though it didn’t sell in huge numbers, it did well enough to warrant a sequel, and more importantly, it became a bit of a low-key cult classic amongst battery enthusiasts: the power-sipping Snapdragon 625 paired with a 1080p panel and a massive 3,510mAh battery, plus support for Moto Mods, gave it almost supernatural longevity. Its sequel pared back the battery capacity — and thickness — but by consolidating the Z and Z Play models into a single device, the Moto Z line (along with the Z Force) became more accessible while retaining many of the benefits of both phones. It also went metal, a welcome change from the scratch-prone glass back of the original Z Play. To this day, I think the Moto Z2 Play is one of the best-looking phones Motorola has ever made. Now the Z3 Play, a phone that tries to modernize while retaining the bare necessities of its lineage. It’s imperceptibly taller and narrower than its predecessors, and reorganizes its layout a bit, but the phone is instantly recognizable as a Moto Z product — as long as you’ve seen one before. In keeping with its minor modernization, the phone’s back is once again covered in glass, though this time it’s stronger and less scratch-prone Gorillas Glass 3, with color-matched Series 6 aluminum sides (there’s only one color, Deep Indigo, available at launch). And like every Motorola phone of the last few years, the Z3 Play isn’t water resistant but for a “nano-coating” that “creates a water repellent barrier to help protect against moderate exposure to water such as accidental spills, splashes or light rain.” Not ideal. 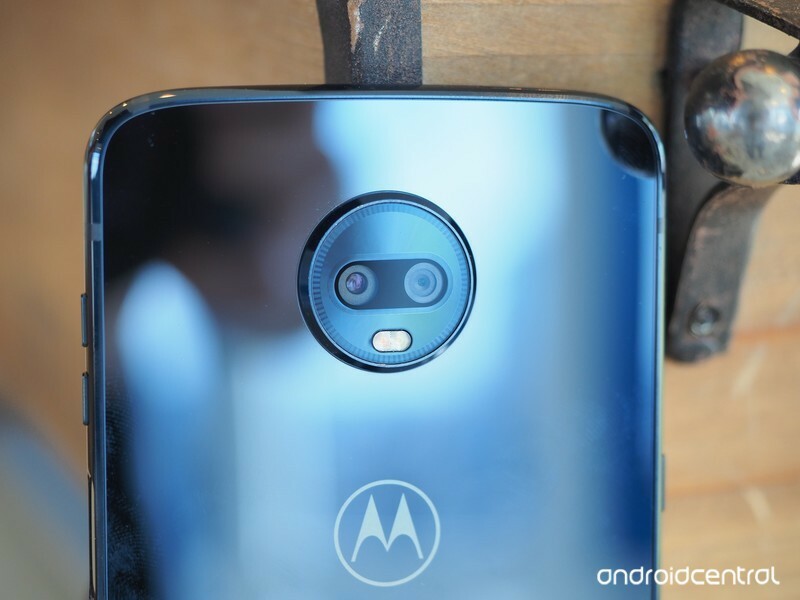 Moto Z3 Play specifications: Everything you need to know! Its back warrants a second look for a couple of reasons: first, it maintains the 16 pins that afford Moto Mods direct access to the phone’s internals — batteries, cameras, speakers, even a projector — that augment the Z3 Play’s mid-range spec sheet. And it also shows us the new dual camera setup that, for better or worse, feels like a compulsory addition to any device these days. What you won’t see on the back is a fingerprint sensor. Despite there being no room on the front, Motorola needed to maintain a blank slate on the rear, so the fingerprint sensor got punted to the right side (which also explains the Z3 Play’s 0.75mm thickness boost over last year). 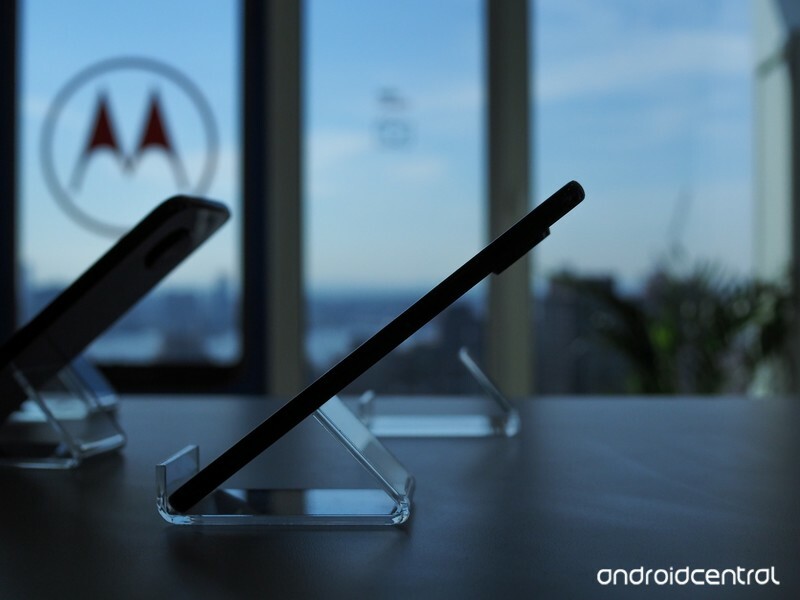 Motorola said it didn’t want to slow down the fingerprint sensor by pairing it with a power button. That may have been a bad decision. You may recall something similar on Sony’s Xperia Z5 lineup, but this version doesn’t double as a power button; Motorola said it experimented with that option, but a power button causes minor unlocking delays, so to assuage any performance issues it moved the power button to the left side of the phone. I have a feeling that the harshness of time will prove this a bad decision, especially because there doesn’t seem to be any alternate way to turn off the phone’s screen. 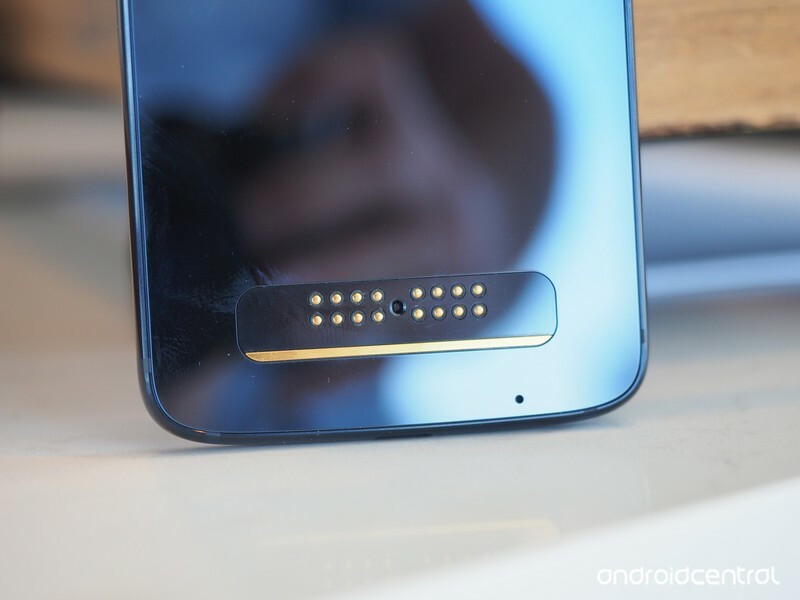 Putting the volume buttons on the left side and the power button above the fingerprint sensor on the right side would have solved this issue, but I’ll wait until I have a device in my hand before reprimanding Motorola’s engineering team too emphatically. 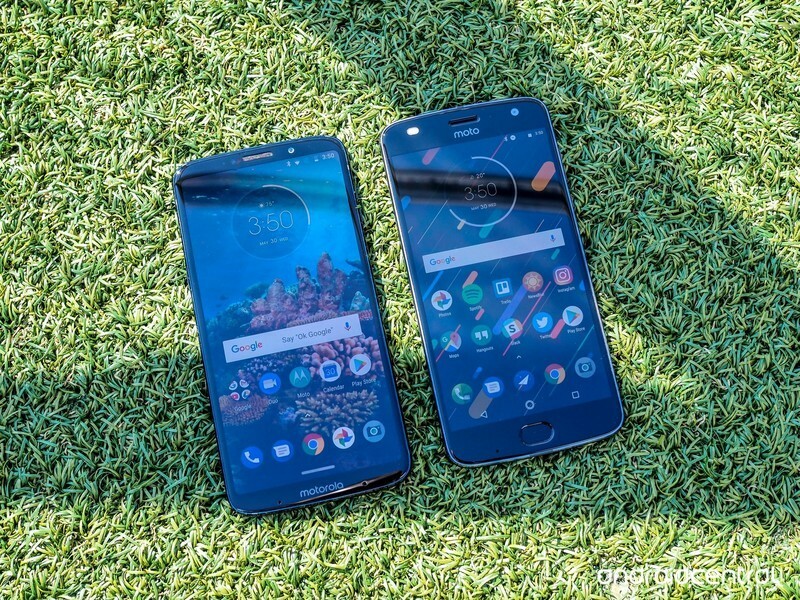 The Moto Z3 Play next to 2017’s bezel-heavy Moto Z2 Play. 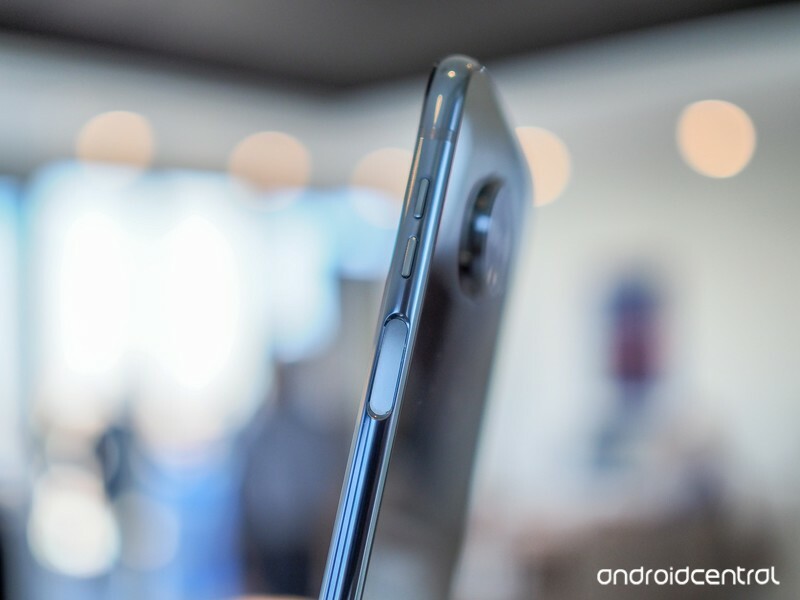 As for the front, Motorola did what it could with its self-imposed constraints, stretching the 1080p AMOLED screen to six inches — at a 2:1 aspect ratio — and reducing bezel in the process. When looked at from the front, the Z3 Play looks considerably more modern than its predecessor, and in my short time with the phone was impressed with the AMOLED panel itself, though it had the same trouble as the Z2 Play reaching sufficient brightness to use in direct sun. Performance is the least of my worries with the Moto Z3 Play. Like all previous models, the phone has a single front-firing speaker, nestled into the headpiece, which sounds fine. There are three speaker Moto Mods available should you want something with a bit more oomph, but I’ll take a decent front speaker over the bottom-firing equivalent any day. What irks me is the removal of the headphone jack, since the phone is thicker than the Z2 Play, which had one, and doesn’t offer a larger battery in its place. I have no inherent qualms about the Z3 Play’s 3,000mAh battery, since the Snapdragon 636 inside the phone should be more than efficient enough to keep the phone going for longer than a day, but given that the Z3 Play is the first phone widely available with said SoC, it will be interesting to see how it performs in daily tasks. There are a few things I’m excited about with the Snapdragon 636: it promises performance improvements up to 30% over the Z2 Play’s 626, with eight custom Kryo cores clocked up to 1.8GHz. And it supports top cellular speeds up to 600Mbps with 3x carrier aggregation through the included X12 modem. The phone also comes with 4GB of RAM standard, a nice boost from the 3GB base in the Z2 Play — 4GB / 64GB was a $50 upgrade. We’ve seen how well Motorola’s devices perform on mid-range Qualcomm chips, so I’m not worried about the Z3 Play providing a smooth Android experience — that’s a given. The Snapdragon 636 is clocked 400MHz less per core — 1.8GHz compared to the Snapdragon 626’s 2.2GHz — but each core promises considerably better per-cycle performance, and will likely end up boosting battery life as a result. What will be more interesting is whether the Spectra 160 image signal processor makes a marked difference in how photos are processed and videos are stabilized given that the primary camera hardware is identical to last year’s Moto Z2 Play. That Z3 Play’s main rear camera is comprised of a 12MP sensor with 1.4 micron pixels and a fast ƒ/1.7 lens. 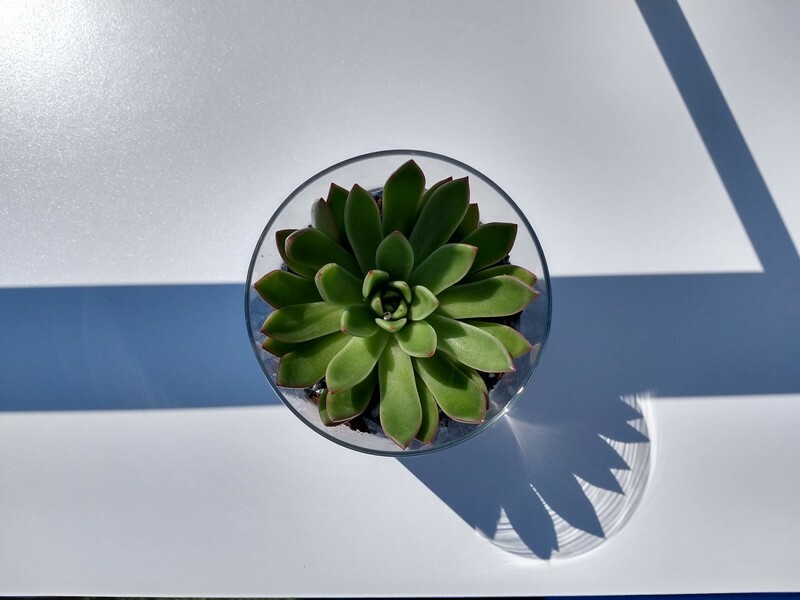 The pedigree is certainly there for great photography, but last year I found the Z2 Play stymied in low light by a lack of optical image stabilization and poor post-processing. The Z3 Play still lacks stabilization, but Motorola promises dimly-lit environments will be better served because of improvements to the way photos are developed. I was able to snap a few shots with the Z3 Play in the briefing area, but there was nothing around to challenge the camera. 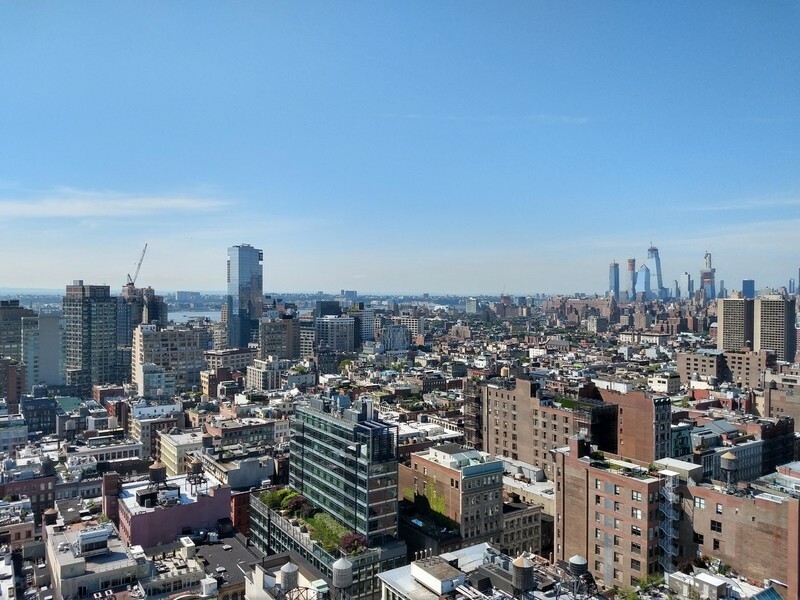 As predicted, the wide-open, brightly lit Manhattan vistas proved no challenge for the phone, and the secondary sensor availed itself quite well, too. 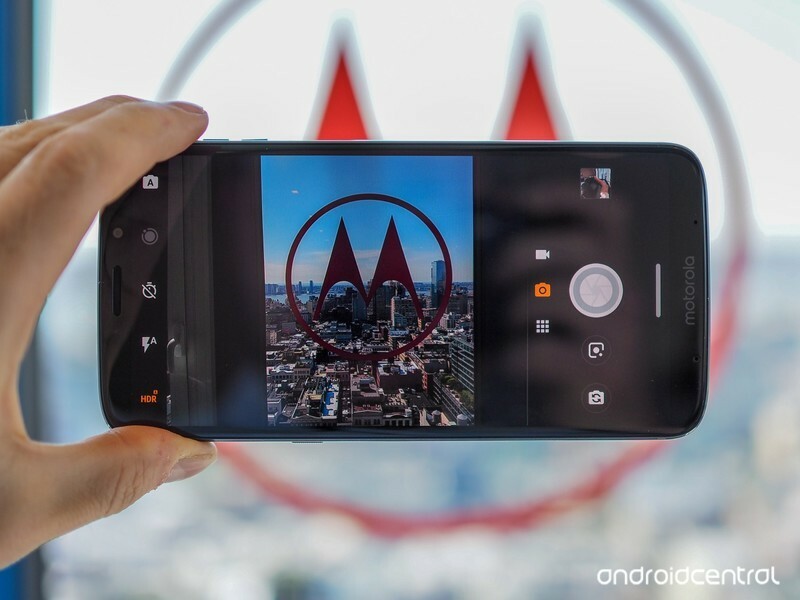 Motorola still isn’t a leader in algorithmically-produced portrait photography, but it’s made major strides since its introduction in 2017 with the Moto G5S Plus and Moto X4. See for yourself below. 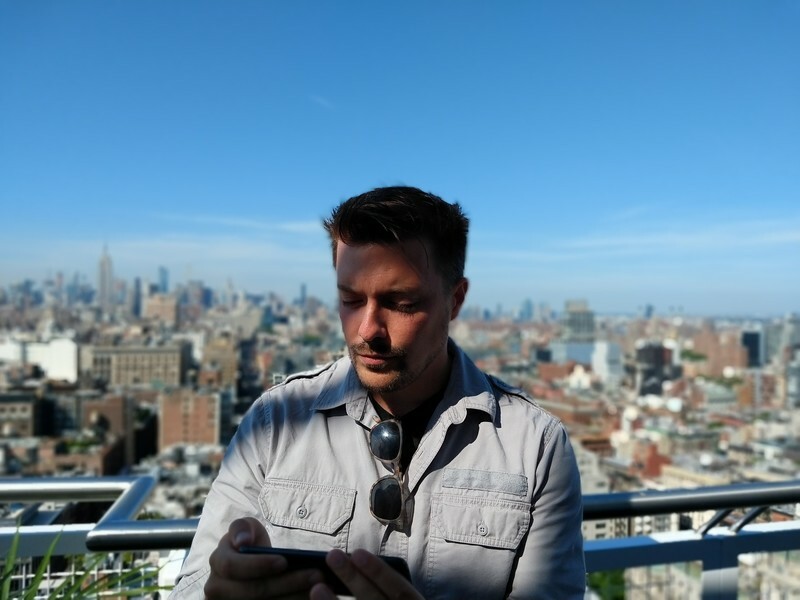 A MrMobile example of the Moto Z3 Play’s portrait mode, which is vastly improved over Motorola’s 2017 phones (but still not great). The Motorola camera app comes equipped with built-in Google Lens support, a feature we’re seeing rolled out to many Android phones these days. And while it’s yet to reach a point where Lens is useful on a daily basis, it’s nice to know it’s there when you need it. Motorola’sa lso added a new cinemagraph feature to augment the phone’s existing 4K / 30fps camera option: with it, you capture dozens of still photos in quick succession, producing what amounts to a GIF that you can “paint” to select areas of movement. It’s not a new concept, but is reproduced well here and is a ton of fun to use. Unlike on iOS, Android’s been lacking a robust standalone cinemagraph app, so this feature is especially precious to me. Around front, the new 8MP selfie shooter has an 84° wide-angle ƒ/2.0 lens, also with support for portrait mode. I tried it out a couple of times and it wasn’t great — definitely not as honest as the rear equivalent, but disclaimers of unfinished software and further improvements are necessary here, so take heed. From a software perspective, this is the same Moto experience you know and love. 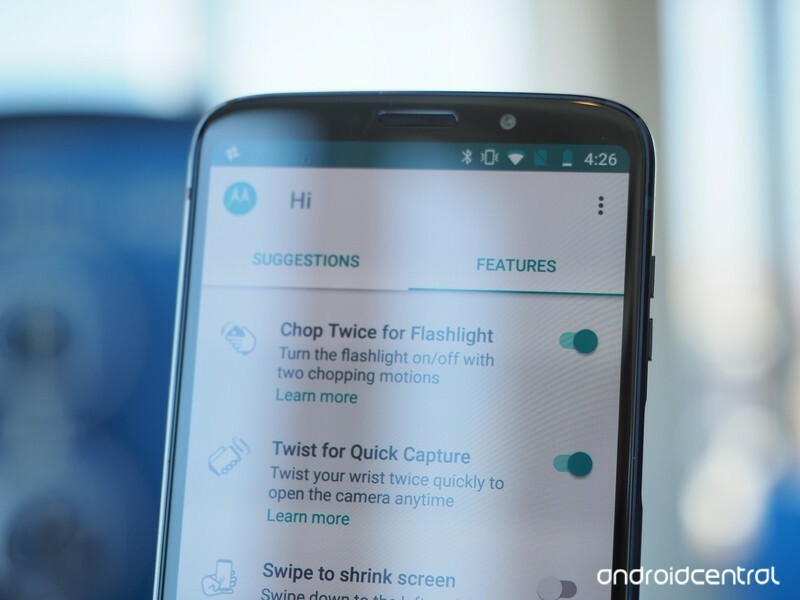 Moto Display is still the most useful example of an ambient display on a smartphone, and Motorola’s suite of gestures and actions, like twist to enter the camera or chop for flashlight, are augmented by new ones like a powerful three-finger-tap screenshot editor that I’ll actually use. But perhaps the most significant change is the now-digital version of Motorola’s One Button Nav, which until now has relied on the presence of a front-facing fingerprint sensor. 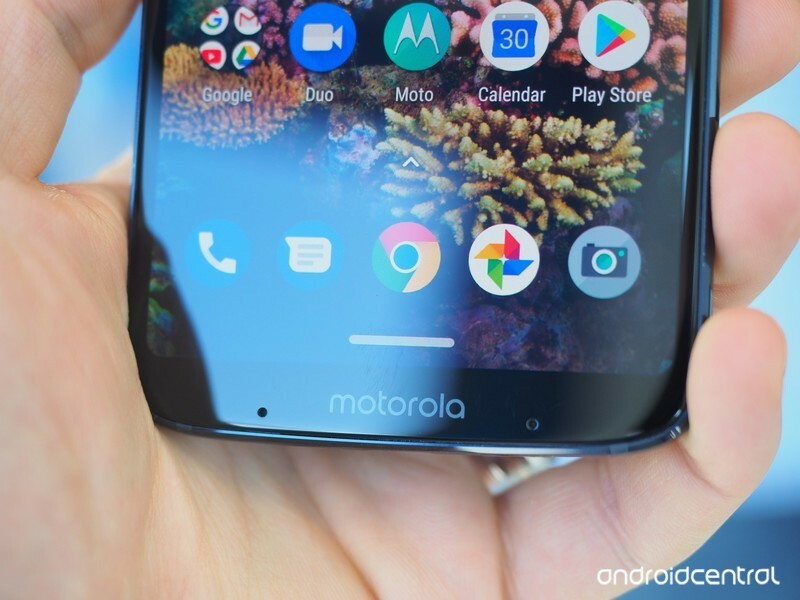 Available as an opt-in (Motorola says it will never force users to adopt a new navigation paradigm without Google’s signoff), the new One Nav feels quite natural, mimicking Oreo’s traditional navigation buttons with swipes: a swipe left for back, swipe right for multitasking, a tap for home, and a long-tap for Google Assistant. It’s intuitive and fun, but it’s unclear whether Motorola will abandon the project when Google releases Android P with its own native gesture navigation. For now, though, I recommend giving it a try. The Moto Z3 Play is coming to the U.S. this summer — likely late June or early July — for $499 unlocked. 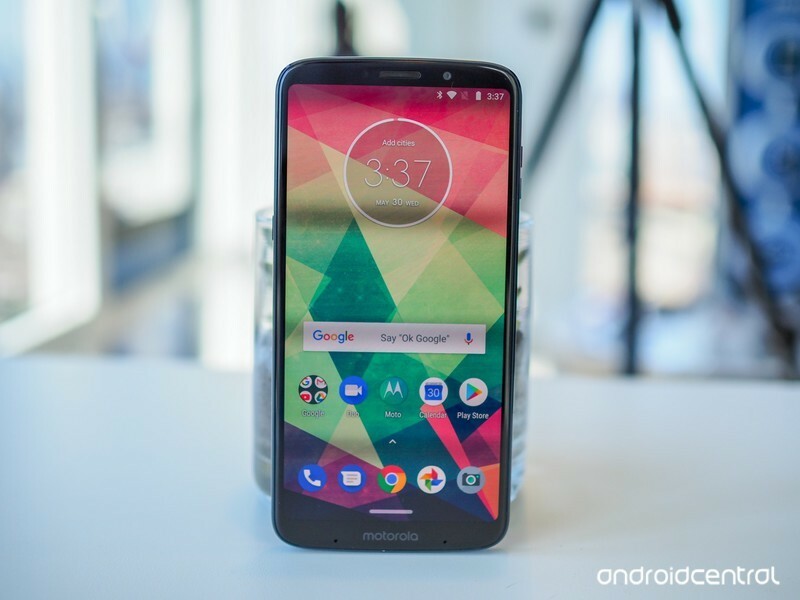 It’ll be sold directly from Motorola.com, as well as Best Buy, Walmart, Target, Fry’s, B&H Photo, and as a Prime Exclusive Phone at Amazon, likely for a nice discount. 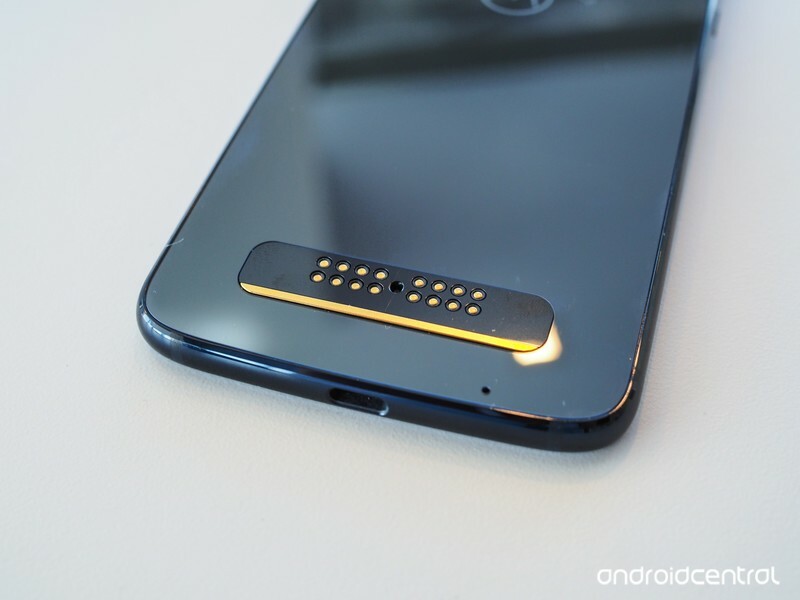 Every Moto Z3 Play will come with a Moto Power Pack Mod in the box, a slim 2,220mAh battery that retails for around $40. That’s a nice touch, and definitely takes some edge off the $499 price, but when devices like the OnePlus 6 cost just $30 more and wipe the pants off the Z3 Play’s spec sheet, it’s hard to know who this product is for. It appears that the Z3 Play is yet another affordable vehicle for Motorola’s growing lineup of Moto Mods, but a phone needs to stand on its own, and must justify its price. For American buyers, the Moto Z3 Play’s lack of carrier distribution is likely to be its downfall, as there is far better value in the budget space. In fact, the phone is outdone by Motorola’s own low-cost lineup: the Moto G6 is $235 at Amazon, and the Moto X4 can be had for between $250 and $280 depending on the retailer. Even something like the Honor View 10, which also costs $500, justifies its price tag better than the Moto Z3 Play. The question of value comes down to ecosystem: do you already own a Moto Z series phone, and do you have a bunch of Mods that you regularly use? It’s admirable that Motorola has maintained Mods support for a third year, but there needs to be inherent value in their use. I like Moto Mods, but they’re like any accessory, any dongle, any battery pack or camera lens add-on — they’re extra. Unless you’re lugging a bag around, or have ample pocket space, you’re not going to want to carry more than one Moto Mod with you, and once you’ve played that song on the JBL SoundBoost speaker or topped up the phone with the TurboPower battery attachment, you have to stow it somewhere. You have to remember to bring them with you. If you’re up to the task, or enjoy turning your phone, Transformers-style, into a projector or Polaroid printer, the Z3 Play will be perfect for you. 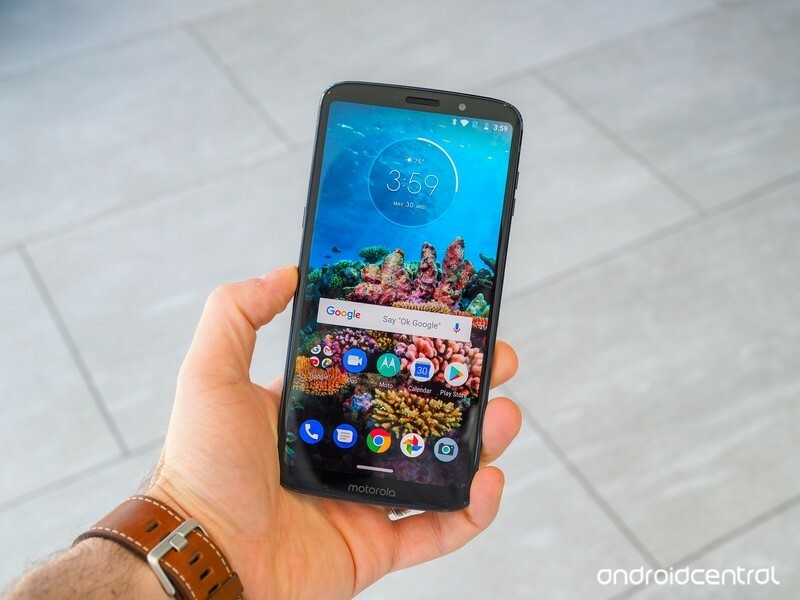 But I’m going to need to evaluate it on its own merits, and given the strength of devices coming from Motorola’s budget segment, not to mention OnePlus in this price range and Honor, Xiaomi, and Samsung in regions Motorola has sizeable market share, I’m not ready to call the Moto Z3 Play a winner.